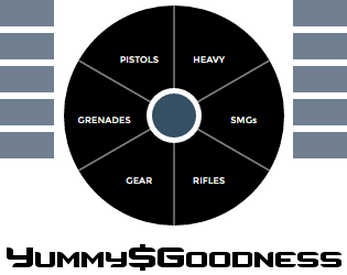 CS:GO's ingame economy system extracted into its own game for @eevee's GAMES MADE QUICK??? Game jams are cool and I want to participate in more of them. I'm not very good at the economy side of CS:GO so I wanted to get better. I've been wanting to learn Elm for a while now and I thought this was as good a time as any. It's a reference to this tutorial thing.